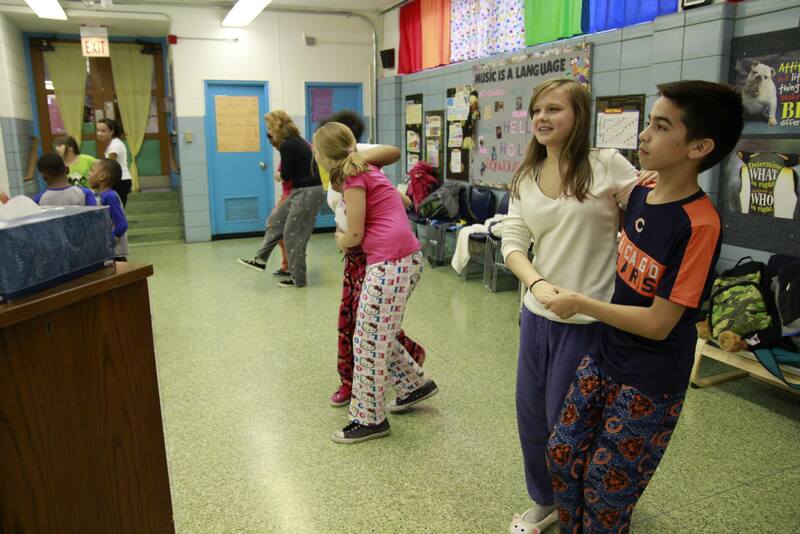 Swing for Kids is a not-for-profit program in the Chicago area aimed at inspiring students through swing dancing. It teaches students how to dance over the course of a 10 week program. At the end of the program, there is a dance where students dress up and become the teachers for their friends and family. The Lindy Affair: Hello, Kimberley! I recently read about Swing for Kids on the Frankie Manning Foundation page, and I think it’s such an exciting endeavor. Can you explain a little about the program? Kim Kays: Swing for Kids is a new not-for-profit youth program in the Chicago area. Our mission is to inspire and empower students through swing dance. It’s a new program, but it’s growing quickly; this year, three schools are involved, and students will be attending the first annual Swing for Kids Jazz Ball! TLA: How did you get the idea for this program? KK: Swing Dance inspired me from the moment I started. I became empowered to try new things, meet new people, and step out of the box. With my newly gained confidence, I was able to push myself and succeed in other aspects of my life. I took more risks and even became a better teacher. A whole new world was opened up to me when I found Swing Dance and I wanted to share it with everyone I knew — especially my students! TLA: I think that’s a story many of us can relate to. I know Swing Dancing changed my life. How did you start this program? KK: I became so inspired by swing dancing that I began integrating Swing Dance into my elementary and middle school music classes a few years ago. My students love the music and history of Swing, and they love learning this fun new skill. I see them developing discipline, teamwork, and creativity. 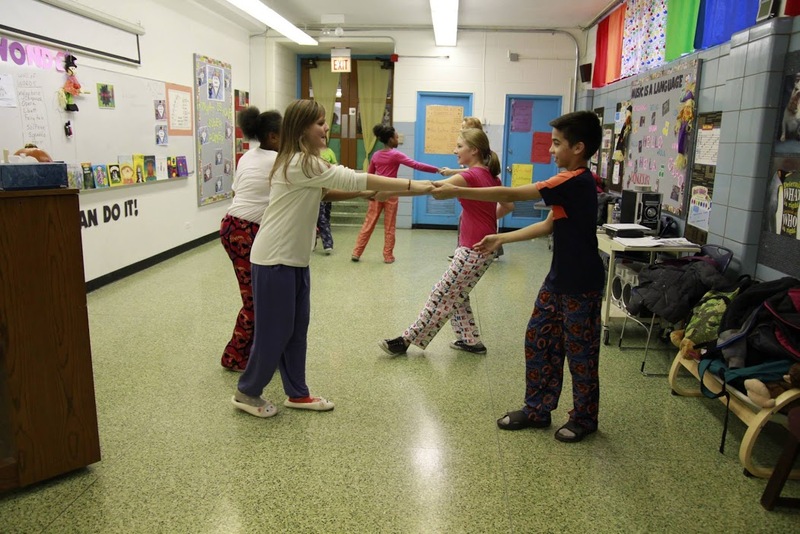 Students who rarely speak are now helping each other learn new moves. They are teaching each other and becoming more caring and accepting of each other. It’s really exciting to see how they grow over the course of the program. Last year, after seeing the positive impact the program had on my students, the idea of expanding youth access to Swing Dance Instruction in Chicago became imperative. TLA: That sounds like quite a big undertaking — where are you in the process now? Has it been tough to make this program happen? KK: I started by reaching out to local swing dance instructors to see what they thought about the idea. I got so much positive feedback that I began working with a few of them to make a game plan. It has taken months of research, hours of meetings, and a lot of consulting with lawyers and others already established in the Non-Profit sector to figure out how to do things properly. The Chicago Swing scene has been behind me the whole way and it has been wonderful! TLA: How will Swing for Kids be implemented in the Chicago area? KK: We will be providing a 10-week in-school Swing Dance program to 5th Graders. Our program is offered once a week for forty-five minutes during regular school hours so that every student can participate and benefit. The curriculum was designed by experienced educators and dancers in Chicago as a developmentally appropriate supplement to music or gym class. We teach social and emotional skills, promote healthy habits, and promote the fine arts, all in one program! At the end of the program, there’s a Swing for Kids Jazz Ball. This year, the Students will dress up, teach parents and guests basic dance steps, and perform to a live Jazz band. Local Swing Dancers are also invited to perform to inspire kids with exciting routines. TLA: What do you hope kids will get out of the program? KK: The program promotes Social & Emotional skills, Cultural Competency, and Health & Wellness. We hope to inspire students to set ambitious goals, believe in their full potential, and explore new ways to contribute to a vibrant, culturally aware community. TLA: How many schools will be participating in Swing for Kids this year? KK: I’m proud to say that Swing for Kids will pilot in three Chicago Public Schools this spring. We hope to expand to ten schools in the 2015-16 school year, and 25 the year after that. If we reach our goal, we will be sharing the beauty and energy of Swing Dance with over 1,500 students in Chicago by the 2016-17 school year. TLA: Youth programs for swing dancing are growing more popular over the last few years, but it’s sometimes hard to know how we can help. 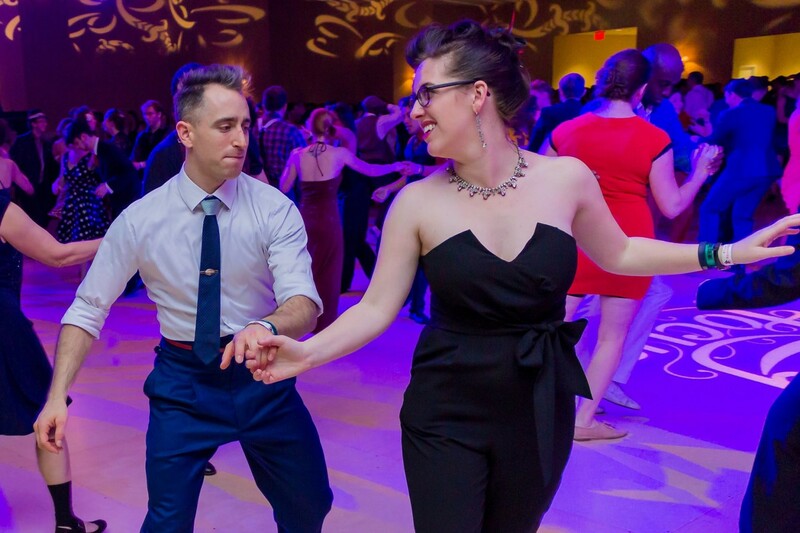 How can the swing dance community donate to Swing for Kids? KK: Swing for Kids is seeking partners and donors so we can expand to more schools! You can make a general donation, or if you live in the Chicago area, you can buy at ticket to our first annual Swing for Kids benefit, which will be held February 26th this year. It’ll be a really fun night for all of our supports with live music, great food and drinks, and a few performances from the kids themselves! As of a few weeks ago, we are an officially recognized 501(c)(3), so all donations are fully tax deductible. If you are unable to donate, please help us spread the word to those who are looking for an inspiring and empowering non-profit to support! You can like and share our page on Facebook, blog about us, and tweet us @Swing4Kids! If you live in Chicago and would like more information about volunteering for Swing for Kids, contact kimkays@swingforkids.org. TLA: Thank you so much for your time, Kimberley! It seems like you’re doing great work to inspire and empower students in Chicago — I look forward to seeing more about your program in the future! Kim Kays is an experienced urban educator and avid Swing Dancer who brought an innovative new program to her elementary students in collaboration with local Swing Instructors. Her students loved the music and history of Swing, and while learning this new skill developed discipline, teamwork, and creativity. After seeing the positive impact the program had on students, she became a champion for expanding youth access to Swing Dance Instruction, and Swing for Kids was born!